Nawaz Sharif and India have one trait in common, both lie to protect their failures. India lied about their Kargil defeat. Nawaz Sharif and his PMLN members lie about Pakistan Army’s Kargil War Victory. Every Jiyala of PMLN will tell you Kargil War was a Failure. Indian Army Chief of Kargil War wants to Forget It! “But the General has not shared the lapses and neglect of responsibilities of the Army leadership, particularly of the sector commanders, and to an extent, his own. Some of these are by now, well known, including the mindset of the 15 Corps Commander, Lt Gen Krishan Pal, who insisted that there were only a handful of infiltrators 60 to 80 and that none of them was a Pakistani soldier. He committed troops without allowing them adequate weapons and strength, and if facts given by Lt Gen Y M Bammi in a book are taken into account, he punished an officer, Brig Devinder Singh, who wanted better preparations insisting that there were a large number of Pakistani soldiers inside the Indian territory. The officer had eight battalions under his charge, and by all accounts, he fought very well, leading the troops from the front. Gen Malik himself has been seen and heard praising this officer at various fora. Yet, Brig Devinder Singh’s career was cut short to save those who were wrong. The Army Chief, GOC-in-C Northern Command, 15 Corps Cdr, and the 3 Div Cdr. 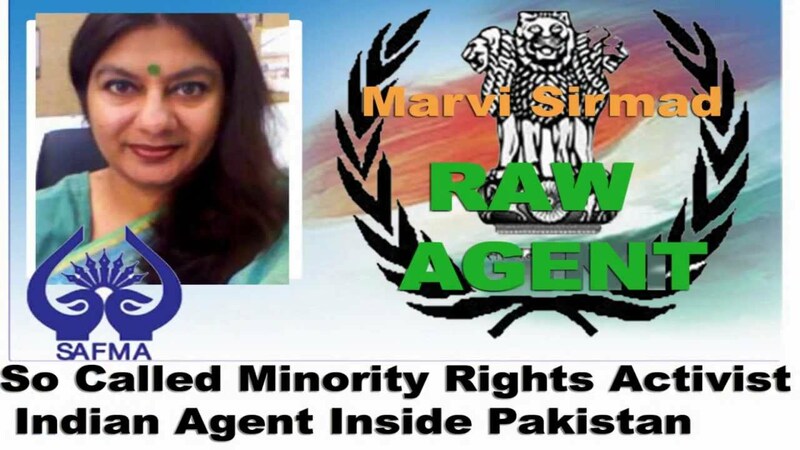 The intelligence agencies, primarily the Intelligence Bureau (IB) and Research and Analysis Wing (RAW). The Indian Air Force (IAF) and its exercise of Air Power. The dedicated and committed soldiers and the middle and junior level officers. Nawaz Sharif was paranoid that after such a great victory. He was afraid that Gen (Retd) Musharraf would achieve same status as FM Ayub Khan and thereby kick out the absolutely corrupt and incompetent illegitimate Nawaz Sharif PMLN “Dandhelee”) Govt. Nawaz Sharif propaganda against Kargil is unrelenting. He did not want Pakistan public to believe that Pakistan Army was capable of achieving this victory. Nawaz Sharif is very astute about his business interests. Nawaz Sharif’s objectives were to promote his business interest in India, a larger market for his Ittefaq Industries products. He wanted to save India and Indian Army from humiliation from this ignominious defeat. He used a two-pronged approach, 1) Stop the War and Prevent Pakistan Army to Make Gains in Kargil sector, which may make Indian Army’s Movements under Pakistan Army Observation Posts. 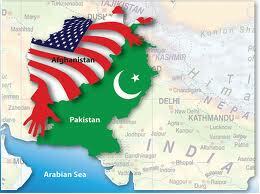 Thus allowing Pakistan Artillery to cause serious damage to India convoys providing supplies to units in Kashmir. 2) To make Pakistan Army look weak, humiliated bungling, and a “rogue” organisation. This would give Nawaz and his party to keep Pak Army on the defensive and not interfere in national affairs, no matter how much corruption Nawaz and his friends do. Nawaz Sharif is a CIA’s major asset in Pakistan’s political scene. He is weak, easily intimidated, cowardly, incompetent, and in times of crisis gets a “mind freeze.” He cannot handle crisis well and that can be seen in his vacillation and foot dragging against TTP. He is co-dependent on CIA and gets his direction through their position papers and relies heavily on their analyst. Even today, Sartaj Aziz, the Octogenarian is in Washington to get direction from Secretary John Kerry. During Kargil War, Nawaz Sharif was morbidly afraid of Indian intrusion across the international boundary in Lahore. His fears most likely included the capture of Lahore and his own arrest by the Indian Army. All of the above factors resulted in his mad dash to President Clinton to stop, “Pakistan Army,” which he could not do, from further escalation and consolidation in Kargil. Nawaz Sharif does not car an iota about Pakistan or its people. His interests lie in survival and accumulation of wealth and power. Nawaz Sharif is a Pakistani “Banya,” who has a Banya Mentality. His upbringing by a corrupt father, who accumulated enormous wealth and went from a small brick Kiln foundry to acquisition of Pak Army’s major asset. The Ittefaq Foundry. Nawaz Sharif is the causative agent for withdrawal of Pakistan Army from Kargil, which resulted in the only causalities due to their exposure to forward observers of Indian Artillery. Thus Nawaz snatched, a defeat from victory. He is responsible for all the Shahadats of the extremely brave NLI and Sindh Regiment soldiers when they were asked to pull back. Nawaz Sharif has PAK ARMY BLOOD on his hand. He has also demonised Pak Army through a whispering campaign by PMLN Jiayalas, that Kargil War was a defeat for Pak Army. He knows the truth. One day, that truth will catch-up to Nawaz, when he and his whole family may have to pay for it with their own blood. India is having a hard time swallowing Kargil defeat, in spite of heavy losses and post-defeat embarrassment, Indian Army continues to console itself, by reading false and concocted reports by Indian Media. As usual, Pak Media was asleep at the wheel and due to its hatred of Pakistan Army for its meddling in politics, Pak media could not digest Pakistan Army’s finest hour and went along with lies and snake oil which India and Nawaz Sharif were selling. HOW MANY INDIAN SOLDIERS WERE KILLED IN KARGIL CONFLICT 1999? SOME SAY 2,700. IS IT TRUE BJP HIDING THAT? 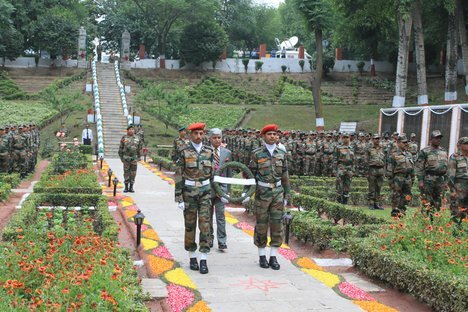 In 77 day Kargil Conflict of 1999, more Indian soldiers lost their lives than combined loss of 1947 – 1949, 14-month-old Kashmir War, 23 days 1965 Indo – Pak war & 14 days 1971 War for Bangladesh formation. Many divisions were eliminated, it is learnt. Though the real figure is never disclosed to the public have a rough idea from media reports. During Kargil conflict, Indian TVs were showing only one Bofors gun firing all the time & Pakistan TVs were showing captured Indian soldiers alive. Many Indian people were saying that it is was pre-planned drama for forthcoming General Elections in India with full understanding with Pakistan’s establishment to make BJP win which actually happened too. Later on , figures were disclosed by either side within 300 no of lives lost at either sides. A few years later, Nawaz Sharif, a pathological liar falsely said that Pakistani side lost 2,700 men when actually 270 men were lost by Pakistan Army. Later, it was disclosed in the news that the loss of life in India was so many that the stock of caskets was exhausted & fresh caskets were imported very quickly in which allegations of a large amount of kickbacks were disclosed on defence & other top Indian ministries. Now some recently retired army men who were posted in Kashmir state during the war told so many individual & general stories. I too heard many stories. All are unanimous on the point that most of Indian soldiers were not acclimated to very cold places having any experience & ability to withstand on snow heights & suffered so much that ratio of loss of life was 100 : 1 against the enemy. If that is correct, it means that India lost 2,70,000 soldiers at least in that conflict & then casket scandal is understandable. In Kashmir, recently most of the soldiers who want to leave the valley at any cost said that entire Gulmarg & many such places were evacuated of the troops & all were sent to kargil . Only few came back. Is BJP hiding that fact & not talking anything on Kargil even during election campaign. Is the information of that high figure correct ? All Kashmiris happily say so. What is the truth ? INDIA’S SHAME IS BEING COVERED BY DEFENSIVE STATEMENTS (see below) BY THEN INDIAN ARMY CHIEF GEN. V.P.MALIK, WHO IS SHEEPISHLY TRYING TO GARNISH THE BRUTAL TRUTHS.WHICH INDIAN PEOPLE WILL NEVER KNOW NOR SWALLOW. If Kargil victory is so great, why is India , the Victor trying to forget it. New Delhi: Thirteen years ago, the Indian Army found itself drawn into a messy low-intensity conflict with Pakistan in the icy heights of Kargil in Jammu and Kashmir that cost it 527 soldiers. Today, Gen VP Malik, the then Army chief, laments that the major victory scored has all been forgotten. Kargil was India’s first television war and could have promoted a “strategic culture” in the country, but the gains were lost because of political compulsions, Malik says. “We must celebrate the Kargil victory. Unfortunately, the Kargil war has become a political football,” 74-year-old Malik, who lives in the Chandigarh suburb of Panchkula, told a news agency in an interview. “Politics got into the Kargil victory and the celebrations became a political football. That’s what we saw with political rivals celebrating and criticising the war for reasons that suited them,” Malik said. From 2000 to 2003, July 26, the day the war ended, was commemorated in a variety of ways. This, however, stopped when the United Progressive Alliance government came to power. The Kargil war in May-July 1999 saw India throwing back Pakistani regulars who had occupied key heights in the sector that had been vacated by the Indian troops during the harsh winter. At the same time, Malik readily agreed that the victory in the 1971 war with Pakistan that saw the creation of the independent nation of Bangladesh was “much bigger” and “greater” than Kargil. “The 1971 war was certainly a much bigger, greater victory for India, as we had fought on both (eastern and western) fronts. But that was 1971. In 1999, we were reacting to a situation, as in 1965, and were playing on the back foot. “In 1971, we had taken the initiative in view of the refugees pouring in from the East and there was time for us to prepare for the war,” Malik said. But the situation in 1999 was different, he said, noting that the whole world was watching India with suspicion following its 1998 nuclear tests. “We did exceeding well with the Army, Navy and the Air Force jointly working out a strategy in a limited war scenario,” he added. Pakistan’s elite special forces unit, army’s Special Services Group (SSG) has been listed as the best special forces group, ahead of units such as the US Navy SEALs and the British Special Air Service group. The list, by Business Insider Australia ranked Pakistani commandos as the best of the nine top elite forces from around the world. Called the ‘Black Storks’, due to the unique headgear worn, soldiers in the unit have to complete a 36-mile march in just 12 hours and a five-mile run in 20 minutes in full gear. For operational reference, it mentioned the 2009 operation that the SSG conducted to rescue the 39 people held hostage by suspected Taliban militants who had attacked the army’s headquarters in Rawalpindi. The SSG have been deployed in a number of operations in Pakistan from prison takeovers to fighting terrorists in North Waziristan. Coming in second on the list were Spain’s Naval Special Warfare Force, and was called as one of Europe’s best respected special forces. Next in line was Russia’s Naval Special Warfare Force ‘Alpha Group’, serving as the nation’s elite anti-terrorism unit. France’s fabled 200-strong National Gendarmerie Intervention Group (GIGN), trained especially to respond to hostage situations, came in on four. Israel’s Sayeret Matkal made it to the fifth spot. Its primary purpose is intelligence-gathering and operating deep behind enemy lines. Along with Mossad, it is suspected to have aided in carrying out a hit in Dubai using falsified passports. The British Special Air Service (SAS), who have the famous motto ‘Who dares wins’, were listed on number six. The UK equivalent of the Navy SEALs, Special Boat Service, came in on number seven. The unit specializes in intense training and interrogation. The US Navy SEALS, a special unit of which carried out Operation Neptune Spear to kill Osama bin Laden in Abbottabad in 2011 were listed on eight. To join the SEALS, one has to prove they are the toughest warriors around and they are asked to prove this by completing a minimum of 42 push-ups in two minutes, 50 sit-ups in two minutes, and run 1.5 miles in 11 minutes before they even start training. The last one on the list are the US Marines. It is an odd listing since they are not considered an elite unit. They have a reputation for being pretty tough in their own right. Marines undergo weeks of rigorous training exercises specially designed to overcome those who cannot hit their exacting standards. THE sustainability and durability of sovereign defense necessitate perpetual contemplation of the making of modern strategy, the invention of the new weapons, and investment in the defense industry. Pakistan’s mastery in the multiple independently targetable re-entry vehicles (MIRVs) technology would be having a constructive contribution in its sovereign defense arrangement of the state. Indeed, Ababeel ballistic missile invention and testing manifest that Pakistani military planners are cognizant of the fundamentals of the sovereign defense. 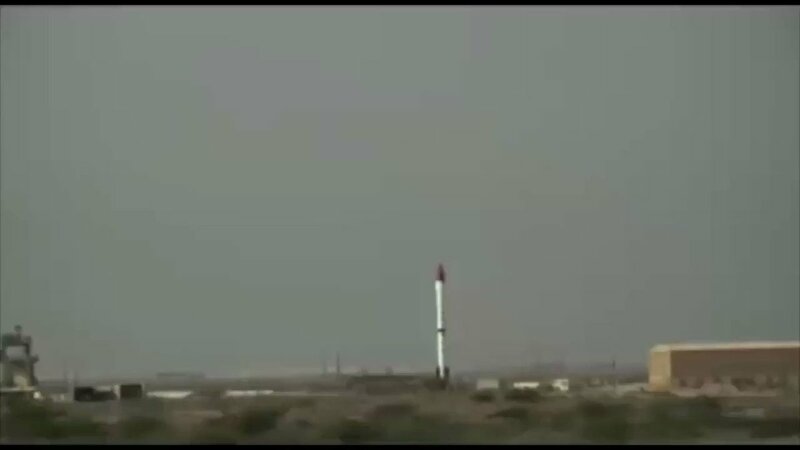 Pakistan conducted successfully the first ever test of its new medium-range, surface-to-surface, ballistic missile Ababeel on January 24, 2017. 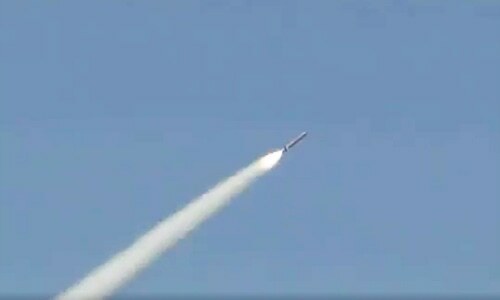 The Ababeel missile is a new entry in Pakistan’s missile arsenal. It uses the MIRV to deliver multiple conventional and nuclear warheads. The MIRV is a very sophisticated missile technology. Except for a few technologically advanced nations (United States, Russian Federation and China) majority of ballistic missile capable states, lack MIRV capability. Though India did not conduct the test of a ballistic missile having MIRV features, yet it is capable of employing Agni-III and Agni-V for the MIRVs mission. Moreover, India’s Defence Research and Development Organization had already demonstrated India’s capability to introduce MIRVs in its missile arsenal. It had launched multiple satellites from one booster rocket. The MIRVs is an important force multiplier Vehicle because it provides an option to deliver multiple warheads with a single missile. Hence, it enables the striking power to engage multiple targets with a high level of precision with a few missiles. It simultaneously disrupts or destroys the radars of the adversary. It is very effective against the state, which deploys ballistic missile defense systems. It was rightly opined that: “If a state is worried about the survivability of its limited missile force and anticipates significant attrition of that force by the adversary, MIRVs provide multiple warheads with which to retaliate for every missile that does survive.” Precisely, it is a cost-effective weapon to defeat missile shield. The Ababeel with a range of 2,200 kilometers — three times the distance between Islamabad and New Delhi — having the capacity to engage multiple targets and thereby it would be very lethal for the Indian defenses. Michael Krepon rightly pointed out that: “If New Delhi decides to absorb the costs of ballistic missile defenses for high-value targets, along with the radars to accompany BMD deployments, these expenses will be in vain.” In simple words, Ababeel is a dependable ballistic missile to neutralize India’s ballistic missile defense shield. In the parlance of strategic theories, an introduction of MIRVs would be having both stabilizing and destabilizing consequences. 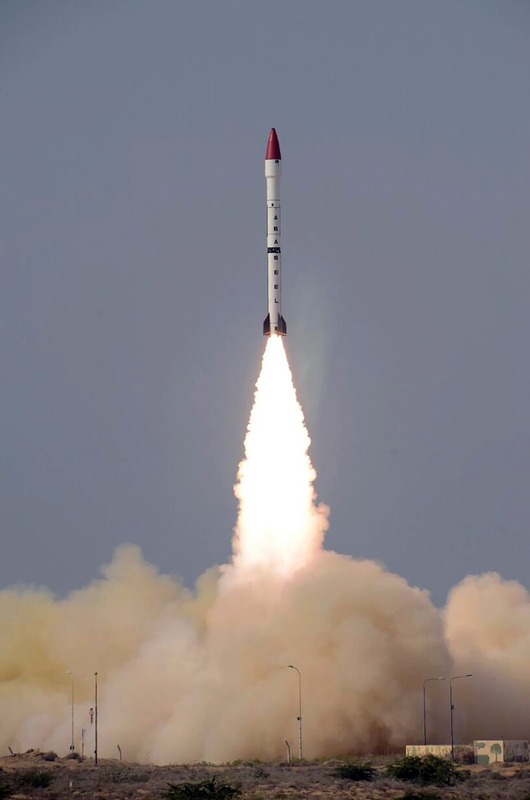 The general perception is that the MIRVs in Pakistani arsenal sustain the prevailing strategic parity with New Delhi, which the latter desires to destabilize. If history is a reliable guide, with the testing of Ababeel, India is likely to do so as well. India’s placing of MIRVs atop its ballistic missile would intensify the current costly arms race between the belligerent neighbors. In theory, an arms race is perilous for the strategic stability. Therefore, it’s imperative for both Islamabad and New Delhi to act rationally and negotiate bilateral strategic arms control treaty for the durability of strategic stability in the subcontinent. 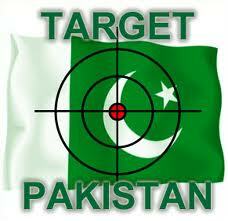 Pakistan has been endeavoring to sustain the credibility of its deterrence strategy. Therefore, it is currently investing in ensuring the second-strike capability and also improving the penetrating potential of its nuclear-capable vehicles. The development of both Babur-3, submarine launched cruise missile and Ababeel would relieve Islamabad from “use-it-or-lose-it” dilemma. However, it would not be misread that Islamabad would alter its nuclear first use doctrine. The conventional asymmetry between India and Pakistan obliges the latter to retain its first use the nuclear option in its nuclear doctrine despite the progression in its second strike capability. To conclude, Islamabad’s vigilant defense planning not only withstands the strategic equilibrium between India and Pakistan but also ensures the sustainability of strategic stability in South Asia. — The writer is Associate Professor, School of Politics and International Relations, Quaid-i-Azam University, Islamabad.